Stunning dark chocolate precision cut leather. Hand beaded swags with jett black, topaz, and clear crystal beads. 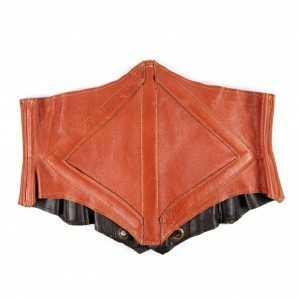 This special cincher is perfect to elevate any look.